School’s out and summer weather means it’s time to get out and play — as a family. If you’re looking for outdoor activities for kids, we’ve got you covered. Long days and lots of sunshine are finally upon us. Turn off the TV, shut down the computer and gather the troops. Outdoor activities are the perfect cure for the boredom that typically sets in just a day or two after school ends. 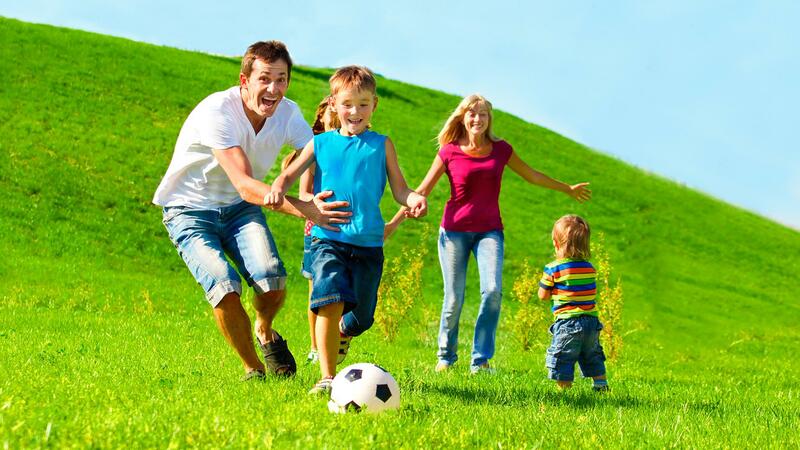 You can combine family time, health and fitness and a big dose of fun. When you’re playing outdoors in the summer, it’s important to stay hydrated. Call a water break at least every 30 minutes, and make sure everyone drinks enough. It’s also important to wear sun hats and sunglasses. And, of course, make sure everyone wears sunscreen, and reapply it every two hours (more often if you’re really working up a sweat or if you’re in the water). Before you hit the great outdoors, also take the time to make sure you have all the right gear. Going cycling? Get your helmets. Rollerblading? Ditto, plus the proper pads. Don’t wait until you’re ready to go to find out that Junior has outgrown his safety gear. Plan ahead to avoid last minute meltdowns. Whether you go for Capture the Flag, softball or badminton, an outdoor game lets you give everyone an active role. Challenge another family to an afternoon of fun in the sun. Team up younger kids with an older sibling or a parent to even out team strength, if necessary. And take the opportunity to teach your kids about winning — and losing — with grace. The great outdoors is full of adventure, and you’ve got the whole summer to explore it. Make a point to get outside and do some walking at least once a week. Whether you’re walking around your block or exploring the woods, you’re out there moving and spending time together. Win-win. Split your family into two teams (or compete against another family) to see who can track down the most items from around the neighborhood. Include a few on-the-spot activities: a picture of one team member in a tree, for example. Lucky for you, we’ve got the goods on how to plan the perfect family scavenger hunt. Put together an obstacle course and time each family member. You can make beginner and advanced versions, or give younger kids a head start. Add in fun twists, like putting on a bathing suit over your clothes before running under a sprinkler. Encourage everyone to run the course several times and try to improve their time. Set a family goal — whether it’s a 5K walk or a full-out marathon — and create a training plan you can stick to together. Younger kids can come along in a stroller (it’s great for your core strength); teens can run right alongside you. Make team playlists, t-shirts, and photos, and enjoy each mile. If you can’t take the heat, create a pool day to cool off. You can play water games like Marco Polo, have a diving competition, or swim races. You can also play pool-based versions of games like volleyball. If you’re near a lake or beach, take advantage of that great location and spend a day on the sand. 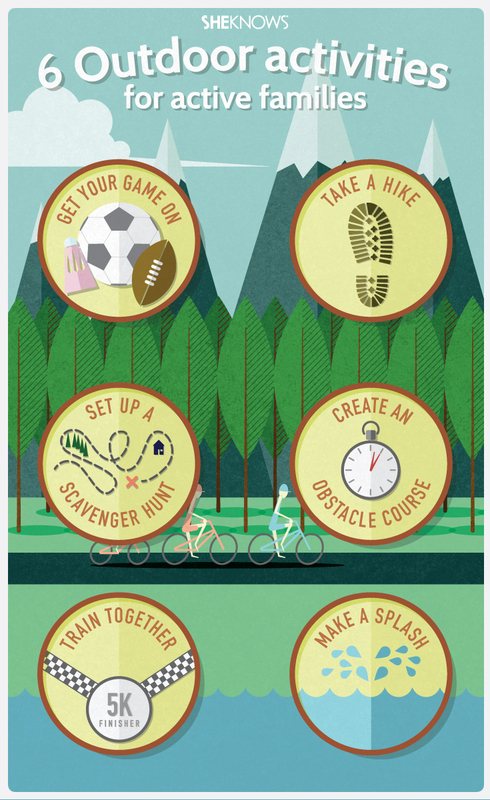 Active family togetherness is a great way to kick-start your summer fun.